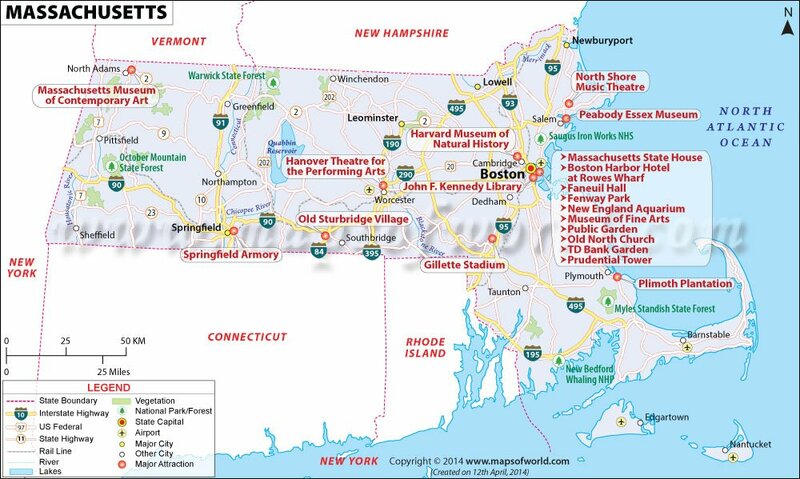 There are 45 airports available to the public in Massachusetts. The Massachusetts airports are generally not congested and as such travelers can reach their terminal with minimal hassle. Friendly service and well maintained facilities can also be expected. Of all the International airports in Massachusetts, the Gen Edward Lawrence Logan International Airport is the only international airport. This airport has many facilities on its premises including shopping stores, newspaper and gift stores, food and beverage shops, public Internet access systems, salon and spa services, and duty free shopping. The airport also prides itself on the artwork it has on display. The airport supports state-of-the-art technology and provides a helpful staff to assist travelers with their journey. The airport's parking facilities are more than sufficient and continue to be improved. More than 40 airlines fly from this airport, including Aer Lingus, Alitalia, Cape Air, Delta Airlines, Northwest Airlines, United Express, Air Mexico, Air Jamaica, JetBlue Airways, Virgin Atlantic Airways, Midwest, British Airways, Air France, Lufthansa, Finnair, and Icelandair. Almost 20 million people travel through Logan International Airport annually. The important regional airports in Massachusetts are The New Bedford Regional Airport,The Worcester Regional Airport, the Nantucket Memorial Airport, the New Bedford Regional Airport, the Provincetown Municipal Airport and Martha's Vineyard Airport. One can book tickets through these airports at their websites. Some of the airlines also offer discounts and bonus points that can be redeemed for future travel. 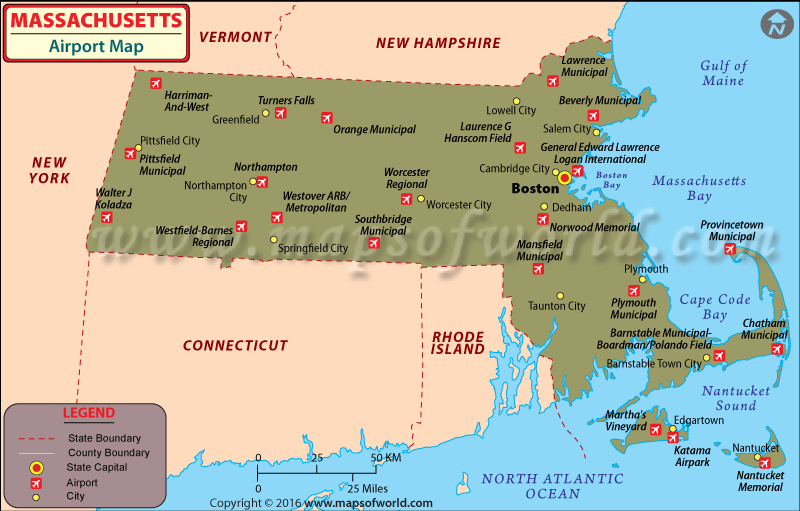 The other airports in Massachusetts are at Lowell, Gardner, Woburn, Marlboro, Pittsfield, Great Barrington, Oxford, Cambridge, Quincy, Weymouth, Provincetown, Plymouth, Hyannis, and Falmouth.